A SON who tragically lost his father to dementia is preparing to treat Touchwood visitors to some Irish music this St Patrick’s Day as he raises money for Alzheimer’s Society. MORE than 50 people have contacted Warwickshire Police in the past two years to see whether their partner has a history of domestic violence. A FORMER plain-clothes store detective is one of two new guides helping visitors to Solihull town centre. HUNDREDS of talented students from schools across Solihull have joined ranks to form a mass orchestra and play at the Symphony Hall in Birmingham. A MOTION to crack down on tax dodgers in the borough has been put before Solihull Council. SOLIHULL Council has given the go-ahead for a major new residential scheme to be built on the former Powergen site in Shirley, over 20 years since it was vacated. 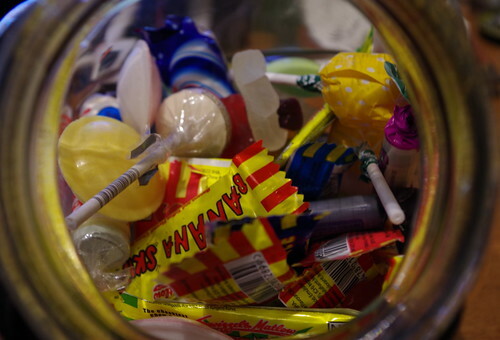 DrovDRIVERS who fail to stop for lollipop men and women could be fined up to £1,000 and be given three points on their licence. NOTORIOUS Solihull gangster John ‘Goldfinger’ Palmer may have been murdered by a professional hitman. STUDENTS, park rangers and members of the Sheldon community got stuck into a spot of pruning on Monday (March 7) afternoon. SOLIHULL Moors player coach Gavin Cowan knows his side are in for a difficult match when they face Lowestoft Town this Saturday. WHO said penguins cannot fly? A new family of Gentoo penguins have touched down in the UK after migrating more than 4,260 miles from Canada to their new home at the National Sea Life Centre in Birmingham. Next Saturday 19th we have the final coach trip of the season to Burton. It may have taken 3 games plus extra time, but Hereford finally recorded a victory over The Gate in the MFL Cup Qtr Final Tuesday night. Please note the following reminder, to all referees. Match report from the Bridgnorth website. Highgate suffered their heaviest defeat of the season at the end of a poor contest lacking in any real quality. Congratulation to the following winners in the January/February/March 200 Club Draw. This winter has seen severe rainfall throughout the UK and many parts of Solihull have been affected with flooding. It is widely recognised there are problems with parking cars on or near to Main Street, Dickens Heath. The resurfacing of pavements in Monkspath has been widely welcomed as the former hopscotch effect (as a result of utility works) have been covered over by the technique known as ‘slurry surfacing’. The nature reserve is within the boundaries of three Solihull wards; Blythe, St Alphege and Shirley South. The Chalice warmly welcomes Mark head chef formerly of Mortons. A meeting held between Solihull planners and the D.
I met today with two officers from Centro at their offices in Birmingham. The developments in Blythe ward, especially in and near Cheswick Green and Dickens Heath quite naturally cause concern about the numbers of school spaces, especially by parents of school aged children or soon to be school aged. A busy week ahead, starting today with the meeting of the West Midlands Police and Crime Panel (which I am Vice Chair). 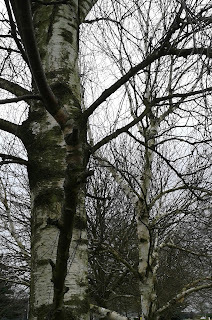 Silver Birch Trees Photo: Word In Veg Ways Silver birch trees have been depicted in Ukrainian/Polish/Slavic artwork for centuries. Shirley Brooks has been officially appointed as our new County Commissioner today by Gilwell. Due to circumstances beyond our control and the impending E.
It’s International Women’s Day! Women are extraordinary – oppressed and discriminated against throughout history but always fighting for a better world, despite continually being devalued, objectified and forgotten. 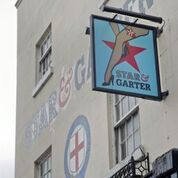 Photo: c/o The Star Garter Lunch with my Mother is always a lovely way to spend a Saturday afternoon and that is exactly what we did recently at The Star Garter in Leamington Spa, Warwickshire. Intelligent comment from Giles Fraser in The Guardian on American Christianity. A frosty February has seen us swoon over Valentine's Day, toss those pancakes high on Shrove Tuesday and for some, they are still coming to terms with the news that James Martin is leaving the BBC's Saturday Kitchen show. I love those April/May days when driving through rural lanes and you see a vista of bright yellow rapeseed crops in the fields all around you, I find it quite mesmerizing to be honest. Solihull Scout County is celebrating the launch of the 2nd Smith’s Wood scout group, with 22 young people invested at the Thinktank. The Mayor of Solihull has kindly agreed to present Chief Scout’s Bronze Award certificates in Solihull Methodist Church at 6.45 for 7.00pm on Friday 6 May 2016. 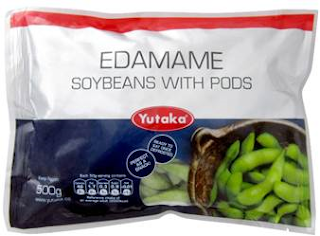 I’ve made reference to Edamame soy beans in previous blogposts and as a little legume that I enjoy eating from time to time, it was great to have the opportunity to try Yutaka’s latest offering of Edamame Soy BeansWith Pods . The Mayor of Solihull has kindly agreed to present Chief Scout’s Silver Award certificates in Solihull School Chapel at 6.45 for 7.00pm on Friday 22 April 2016. Congratulations to Intrepid Explorers ‘A’ and 2nd Ballsall Common Scouts ‘A’ on winning the Walking stick and boot tropes respectively. A WORCESTERSHIRE accountancy firm has expanded its presence in the region with the acquisition of a Solihull rival. DEMAND for commercial space at a Solihull business park has resulted in just one unit available for lease. A BIRMINGHAM garage business has been acquired by a Midlands rival in a deal led out of the region. 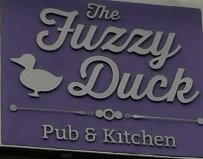 A £75m residential scheme is set to go ahead in Solihull after the borough council agreed plans for the demolition of one of the areas best-known buildings. AN aborted attempt to strengthen its position in the galvanising sector does not appear to have dented Shirley-based engineering group, Hill & Smiths annual performance. THE Solihull and the Birmingham out-of-town office market has enjoyed a strong year with several substantial and significant transactions, a new study has shown. Theft of farm equipment from yard in Meriden Police in Solihull have released clear CCTV footage of two men they'd like to speak to after 600 worth of farm equipment was stolen. Wicked thieves sought after poppy tin thefts in Solihull 2 Another CCTV installment of a man suspected of stealing poppy tins in the Solihull area. Wicked thieves sought after poppy tin thefts in Solihull 1 Despite Remembrance Day approaching and this year being the 100th anniversary of the start of World War One, thieves in Solihull are stealing poppy tins. Update issued at 2.05pm Saturday 9 August: This lunchtime’s two-hour strike by firefighters ended at 2pm. Update issued at 8.05am Monday 14 July: During this morning's two-hour strike by firefighters, which ended at 8am, we had 13 fire engines and one Brigade Response Vehicle available to deploy. Response by Solihull Metropolitan Borough Council to Gavin Chait on 15 March 2016 . Response by Solihull Metropolitan Borough Council to J Taylor on 15 March 2016 . Lots of broken and uneven slabs on path adjacent to 125 Nethercote Gardens B90 1BJ Path is regularly used for access to garages..
Did Putin trump Obama in Syria? Can Venezuela opposition oust President Nicolas Maduro?